Lady and the Blog → Personal Blog → Who Says Milk Isn’t Fun? Who Says Milk Isn’t Fun? I’m sitting here working on my other site – I’m Not Obsessed – and just got an email from my husband. 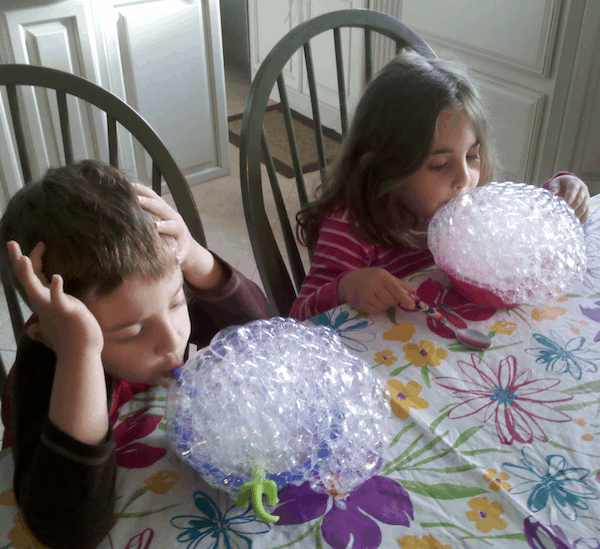 This is what my kids are doing right now during their breakfast. LOL! Milk does a body good… but it also makes really cool bubbles. Are you two both in the house emailing each other?! Now that is how fun every meal should be. LOL! Love it.